I had the honor of guest posting for Kristine Lamb over on Live Love Speech while she is on maternity leave! 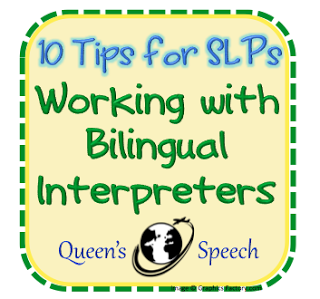 I am a monolingual SLP, who works in a heavily Spanish speaking area. Check out my Top 10 tips for working with an interpreter here!